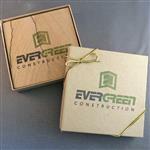 Set of 4 custom 4-1/4" full color moisture absorbing square stone coasters. Actually absorbs moisture! Great for showcasing original art or printing your full color custom logo for an event or keepsake memento. 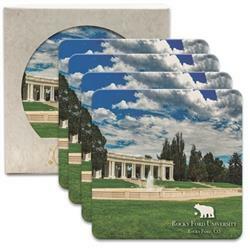 Set of 4 square absorbent stone coasters. 4.25" square with cork backing. Each set in a printed box. 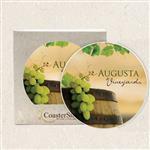 With a full color imprint these custom coaster sets are a great holiday gift! Available Colors: Base color only. Production Times Available: 7 working days standard. 3 day rush available. Call for availability. Available in round or square. 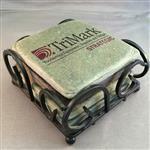 Set of 4 square absorbent stone coasters. 4.25" square with cork backing. Each set in a printed box.